This polish is so awesome! It's really pretty. I really love the inspiration behind it, as well as all of the other polishes from the brand. :o thats so cute. I want it !!! This is lovely!!! I'm not quite as obsessed as you are, but I definitely love The Little Mermaid! Who doesn't? *Squee! * This is my favorite Disney movie ever. Must. Get. Entire. Collection! This is gorgeous! 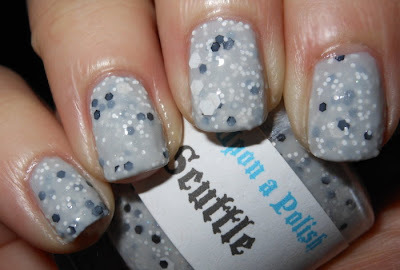 I love my Once Upon a Polishes!